The Denver Chesterton Society has a unique and special connection with Wyoming Catholic College in Lander, Wyoming. 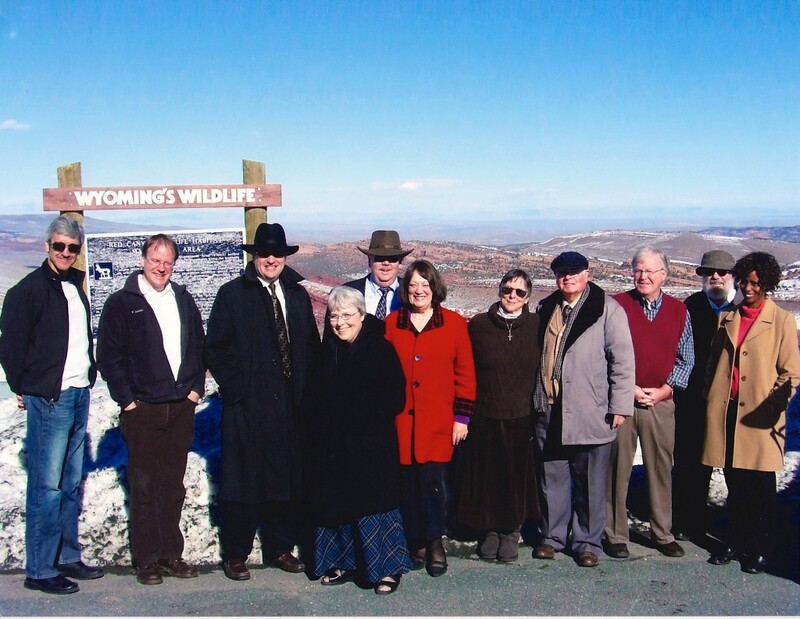 In November of 2009, a founding member of the DCS, Chris Rees, made a wonderfully generous donation to Wyoming Catholic College in the the name of the Denver Chesterton Society. Like the Chesterton Reading Room in the Cardinal Stafford Library in Denver, the interim library of Wyoming Catholic College is now stocked with every Chesterton work in publication. The donation includes all of Chesterton’s books as well as past and current Chesterton journals (such as Gilbert magazine and the Chesterton Review), DVDs (such as the EWTN series, The Apostle of Common Sense, and the Father Brown Mystery Series), and some reproductions of Chesterton’s artwork. The donation is ongoing as periodicals are kept current and as more Chesterton works come to publication.The Chesterton Collection will move to the new library on the beautiful future campus, which is in the design phase and soon to be built. Presently, the WCC campus is scattered in various buildings throughout Lander. The interim library now housing the collection is at the elegant Two Sisters Bed & Breakfast. The 2009 dedication event was terrific. It included a blessing of the Chesterton Collection and a wonderful lecture and performance by the Ahlquist-Chalberg team. More pictures and information on the dedication will be coming soon. Until then, look into the special things going on at Wyoming Catholic College. It is one of the best and most unique truly Catholic colleges in America.